Published: Oct. 19, 2014 at 05:29 p.m.
New York Giants quarterback Eli Manning connects with tight end Daniel Fells for a 27-yard touchdown. 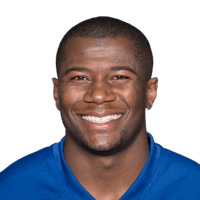 Published: Sept. 25, 2014 at 10:43 p.m.
New York Giants tight end Daniel Fells scores on a 2-yard catch from Eli Manning. Published: Sept. 21, 2014 at 03:47 p.m.
New York Giants quarterback Eli Manning finds tight end Daniel Fells for a 9-yard touchdown. Published: Sept. 14, 2014 at 03:12 p.m.
New York Giants quarterback Eli Manning connects with tight end Daniel Fells for a 1-yard TD.